Our school’s design partner, Education Design Architects is the Indian arm of Fielding Nair International who is the global leader for education facilities planning and architectural design. They have provided professional services to local, regional and national governments, education ministries, school districts, leading international schools and other educational clients in 42 countries on 5 continents. Education Best Practices: Our designs reflect one primary goal – to improve learning. 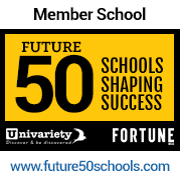 Innovation Leadership: FNI has the best portfolio of innovative schools worldwide. Best Architecture + Education Firm: We offer a broad range of architectural and education services. Global Reach: The FNI team has done work in 47 countries on 6 continents. Design Awards: We have won numerous major global industry design awards for excellence including CEFPI’s MacConnell Award. Influential Publications: FNI principals have written dozens of publications and two highly acclaimed books, The Language of School Designand Blueprint for Tomorrow: Redesigning Schools for Student-Centered Learning published by the Harvard Education Press. Extensive Client List: Our global client list includes the best public and private schools and colleges. In the last 15 years, they have designed $10 Billion worth of schools worldwide – having won 11 international awards in planning and design excellence. The significance of their accolades lies in the fact that our partners have been recognized not just for the quality of their architecture, but also the vast improved educational outcome of their design philosophies. Their designs are inclusive of research on the human brain and human experience. This research focused approach, technological integration leadership and high performance designs have established them as the best partner for leading schools worldwide. Duke School, Durham, North Carolina, U.S.A. When it comes to school learning principles, leadership, organizational management, standards, assessments, staffing, scheduling, professional development, youth development, curriculum, community building or even facilities – there is no better partner for Vantage Hall Girls’ Residential Senior Secondary School than Education Design Architects, the Indian arm of Fielding Nair International - the global leader in school design.